Apart from working as a blacksmith’s apprentice for his pocket money, Kleiner Palmrock was a normal fourteen-year-old teenage dwarf. 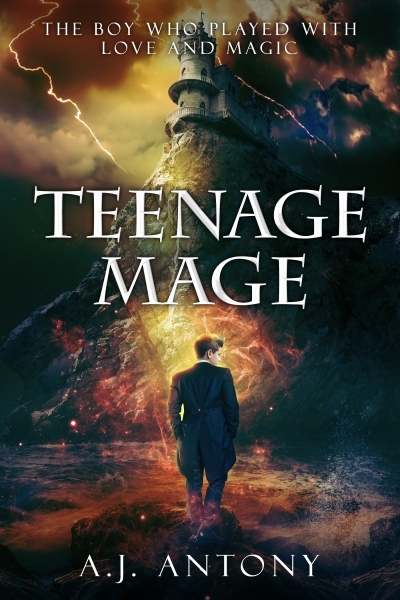 He loves magic, has a crush and a victim story—all while being in his dream girl’s friend-zone. With an endless love towards Skyla, Klein wasn’t the typical guy who would end up in a happily ever after. But Klein never gave up. Then along came Ayesha Kaur, an Agent in her twenties, pulling him into her mysterious life. Caught in between her secret encounters and the battle between love, magic, and a secret society, Klein’s life was already changing. Now he didn’t dream of happily-ever-afters, he only dreamed about making it out alive.